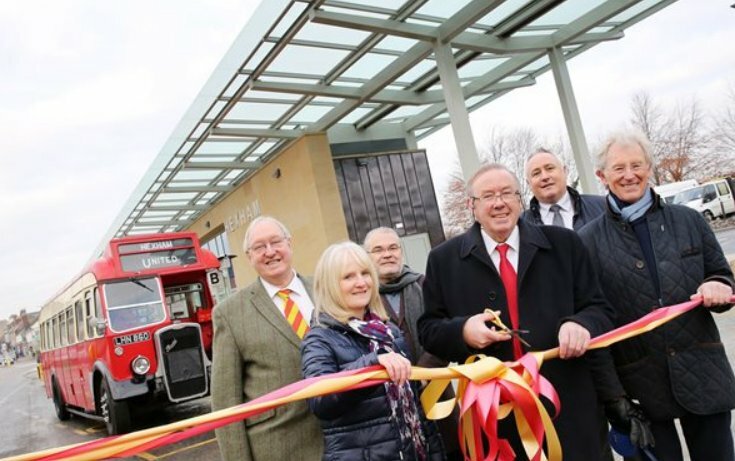 This week we will look back at some of the events that took place during 2016 and here we look at the opening of the new Bus Station in Hexham. Northumberland County Council opened the new Hexham Bus Station on Tuesday 29th November. The new site is positioned on the edge of the town some distance from the old Bus Station which was centrally located and convenient for access to the town centre. The new Bus Station offers five stands for buses and is provides a much easier access for buses but not for passengers. The council consultation resulted in a clear message from residents who said that they much preferred development of the existing site. This was totally ignored as there was a juicy deal on the table from developers who saw the advantages of the central site of the old Bus Station. Council leader Cllr Grant Davey spoke at the event about the council’s investment in the market town of Hexham. He said: “This is a further piece in the investment jigsaw for our market towns. Here in Hexham we are constructing a new fire station just across the road behind the hospital, and redeveloping the Grade II listed Hexham House - to make a beautiful wedding venue and provide holiday accommodation that will bring much more business to the town. The building the new bus station at Loosing Hill has released a prime development site on Priestpopple near the town centre which the council have had in mind throughout the whole process. The scheme will provide 2,466m2 of commercial floorspace, 31 apartments and five affordable homes, and according to the council press release is expected to generate in the region of 126 jobs and other significant economic benefits to Hexham and the wider Northumberland economy. The Bristol L was stabled overnight at the Hexham depot of Go North East, this picture showing Aycliffe driver David Hogg isolating the batteries after the vehicle had been parked over the pit. After the opening ceremony, the Bristol L retraced a portion of the United 34 route from Hexham to Lemington road end, after which it was taken to Beamish museum to take part in the Christmas event. 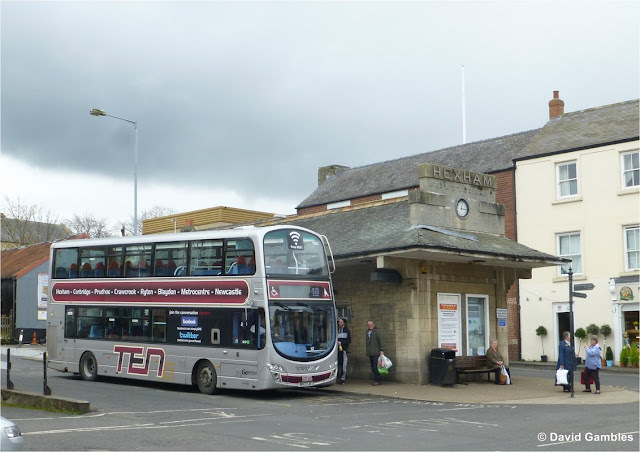 Hexham has a good selection of bus services and below is a selection of pictures taken at the old Bus Station during 2016. X84 /X85. The 84 service also runs to Newcastle via Matfen and Ponteland. 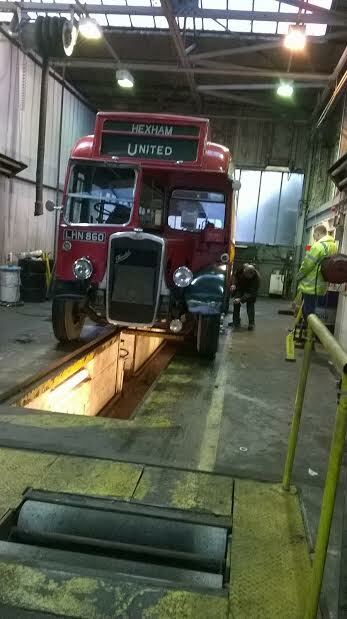 Local services also call at the bus station, here the 682 picks up passengers on the road outside the bus station. 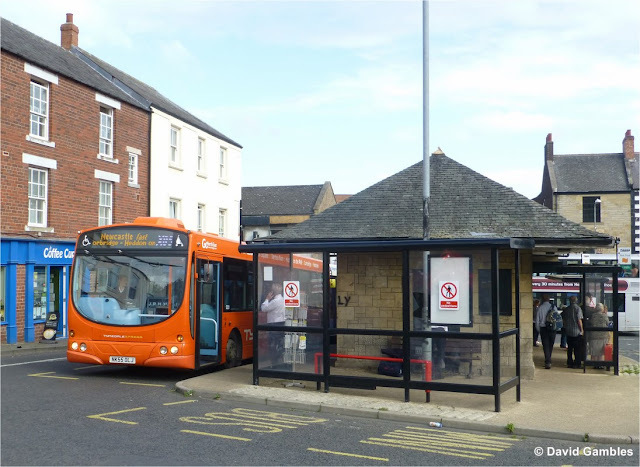 Unlike the main routes shown above, these services still pick up in the locality following the closure of old bus station. 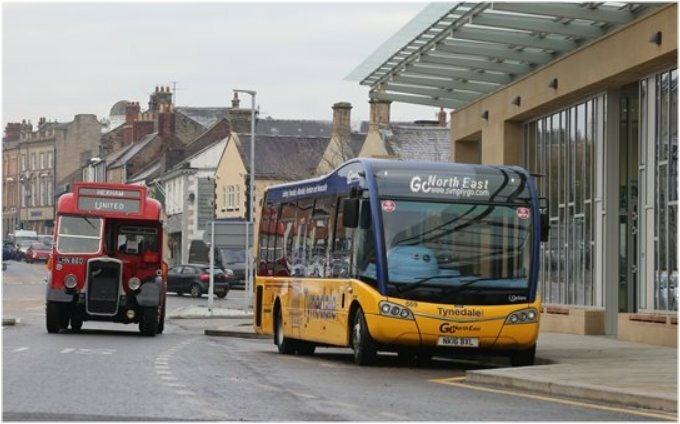 Stagecoach North West and Arriva North East share the trunk route between Newcastle and Carlisle. Here ADL Enviro 300 27142 makes its way through the old bus station on a west bound service. 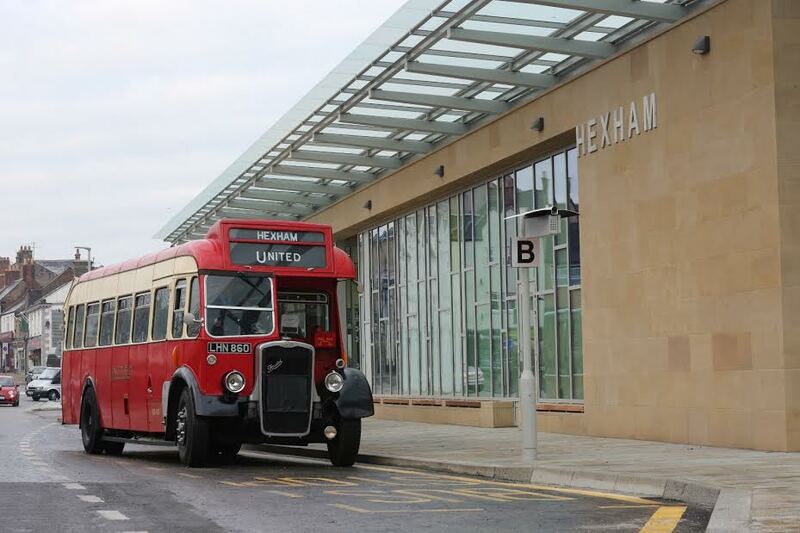 This vehicle has since received 'Cross Pennine' branding which is now used for the 685 service.